Los Angeles Rising: A City That Works for Everyone, a report from the Economic Roundtable, the UCLA Labor Center, and the UCLA Institute for Research on Labor and Employment assesses the benefits and consequences of raising Los Angeles’s minimum wage to $15.25. The report finds that result will be an increase of $5.9 billion in wages with a stimulus effect for the region. Every dollar increase in the minimum wage results in $1.12 stimulus to the economy. 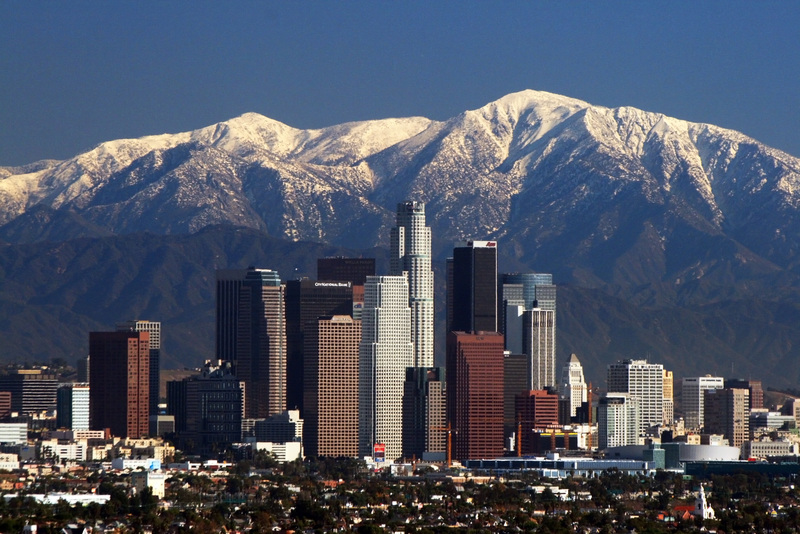 The region will create 46,400 new jobs, of which 24,875 will be in the City of Los Angeles. State and local governments will receive $414 million in added revenue and the federal government $546 million. Public assistance expenditures will be reduced by $313 million a year because higher wages will lift workers out of poverty. The proposed minimum wage increase will benefit workers of color, who represent over 80 percent of affected workers. In particular, we estimate that more than half of Latino/a workers in Los Angeles will receive a pay increase. Download the infographic and read more on Economic Roundtable’s site. Alpert Reyes, Emily. “Three studies of L.A. minimum wage boosts reach different conclusions” Los Angeles Times, January 19, 2015. Mantle, Larry and staff. “Debating dueling data on the effect of a minimum wage hike on the LA economy” KPCC AirTalk, March 19 2015. Fine, Howard. “City Study Backs Wage Hike; Biz, Labor Release Dueling Studies” Los Angeles Business Journal, March 19, 2015. News Desk. “Hiking Los Angeles minimum wage will do more good than bad, UC Berkeley study finds” City News Service, March 19, 2015. Sklar, Debbie “Study: Raising L.A.’s minimum wage would benefit 600K workers” MyNewsLA.com, March 19, 2015. Luna, Miguel “Adequate Wages Needed to Create Truly Sustainable Communities” Streetsblog Los Angeles (blog), March 19, 2015. News Desk “Higher Minimum Wage Benefits Outweigh Drawbacks: Study” NBC4 Los Angeles – KNBC, March 20 2015. Stangler, Cole “Minimum Wage in Los Angeles: Impact Study Shows Benefits of Higher Pay Outweigh Costs” International Business Times, March 20, 2015. Austin, Paige “Study Bolsters Proposal for Minimum Wage Hike in LA” Patch.com, March 21, 2015. NewsConference EXTRA: Economic Benefits of Raising the Minimum Wage in LA – Interview with Daniel Flaming, Economic Roundtable. NewsConference EXTRA: The Costs of Raising the Minimum Wage in LA – Interview with Ruben Gonzalez, Los Angeles Area Chamber of Commerce.